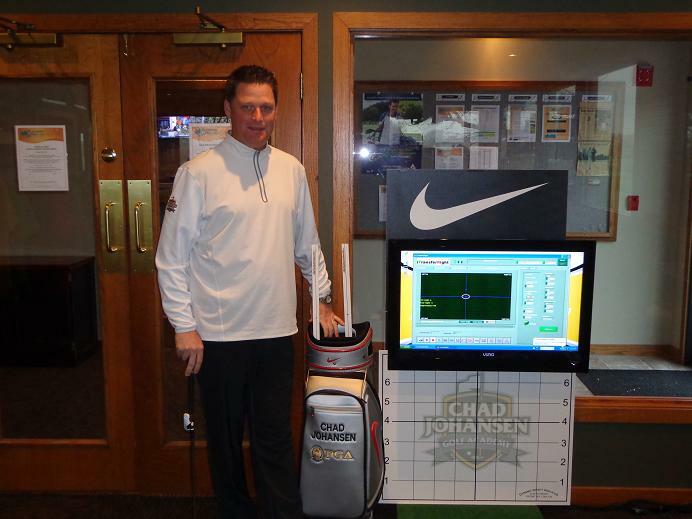 CHAD JOHANSEN the General Manager of the Blackberry Oaks Golf Club in Bristol, also serves the clubs head golf professional, is somewhat of an inventor as well. Johansen first created one of the games best ever putting aids, and it’s called the Perfect Putting Aid. How good is the PPA, well over 100 PGA Tour players have one, and some of them have won big tournaments in less than a year after using one. Can you say Claret Jug. After the success of the Perfect Putting Aid, Johansen took his inventing skills to yet the next level with his creation of the Guide for Golf. THE GOG BLOG by Rory Spears, Editor and Director of Content. Follow Rory on facebook, linkedin and twitter @GogBlogGuy, and to the 18th tee of the new DuPage County Course in Addison. There are some old sayings in the world of business, like “you have to spend money to make money” or “give the customer something new”. Well there is no doubt that there is some truth to what’s being said here, and the golf course business is no different. The biggest renovation project going on currently is in Addison at the golf course formerly known as Oak Meadows. The club will have a new name when it opens in 2017. There is no doubt the new course will bring out golfers flocking to play this new architect Greg Martin design. The new course will gain more players alone due to the fact it will be open more frequently, because flooding and repair time from flood damage should all but disapear. The new courses will hold millions of gallons of storm water in places off the course it could not in the past. Batavia based architect Greg Martin is the current President of the American Society Golf Course Architects. But this will be nothing new to Martin’s designs. 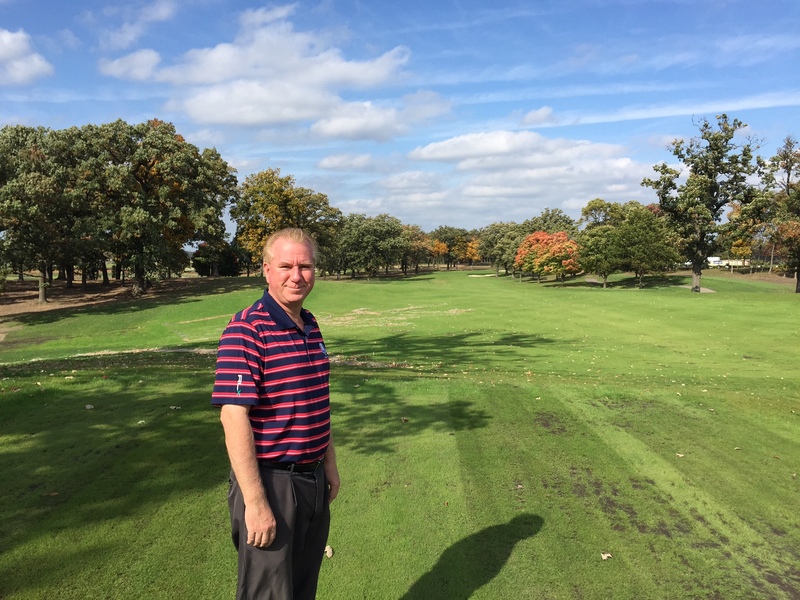 In recent years courses like Wilmette Golf Club in Wilmette, Fox Run Golf Club in Elk Grove, and the Arrowhead Golf Club in Wheaton have all seen a big jump in play after Martin was done installing his master plan. 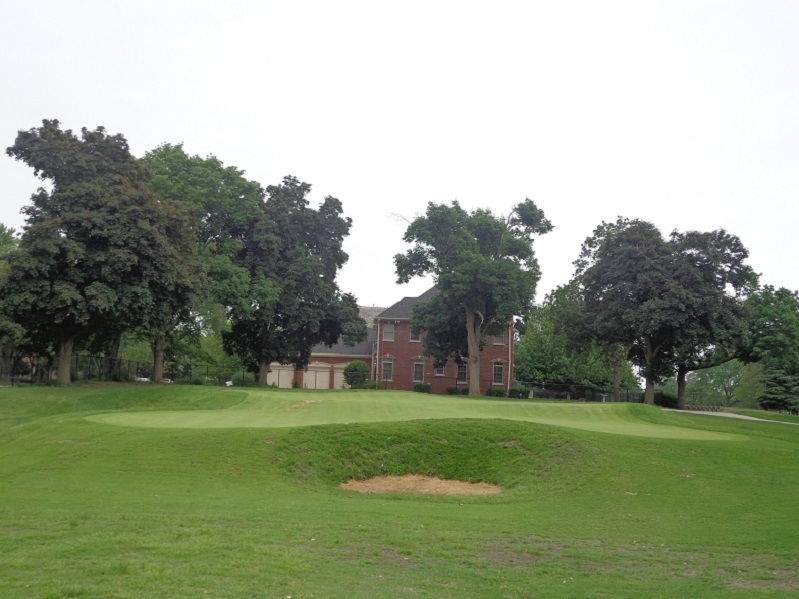 The Glenview Park District course saw the same increase in it’s play after architect Rick Jacobson finished his renovation there. There is more good news for two other renovations that have recently reopened for golfers. First up is the Mt. Prospect Golf Club in Mt. Prospect that was renovated by architect Dave Esler. It has now been open for over 1 year since it’s renovation project. Esler took an old 1926 golf course, and made the current model have more of a 1926 feel to it than it previously had. Gone were the flat greens, in were the greens that had some classic style to them. Green complexes looked more like the famed Shoreacres golf club or he Chicago Golf Club. The private club classic style feel isn’t for everyone, but they have added something to the course that makes it standout more than it had in the past. The Par 3, 7th hole at the Mt. Prospect Golf Club. According to head professional and operations manager Brett Barcel, play is up and so is revenue at Mt. Prospect. The course made a profit in 2013 the last full year of operation. That profit line is growing in it’s first full year of operation since reopening. Barcel says the new full size range and practice area hasn’t hurt either, because golfers are taking advantage of that. In response to the greens that a few golfers felt might be a little too severe. Barcel admits there is some truth to that, but ad’s those spots are being slightly leveled this off season in an effort to find a few more hole locations. It’s quite likely golfer will enjoy all the greens at Mt. Prospect even more than they do now. 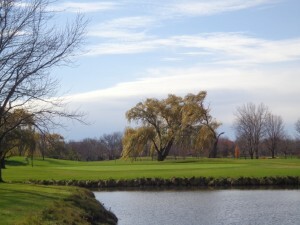 The club is a great place to golf, and is a great location for fall golf, plenty of tree’s with pretty colors and more. Go play while you still can before winter arrives. The Par 3, 14th hole at Arlington Lakes Golf Club. The renovation of Arlington lakes Golf Club by Mike Benkusky has turned out very good as well. The course has now been open for over 100 days since it had it’s grand reopening in July. Golfers now have options on how many holes they want to play, 3-6-9 and 18 hole loops are available. The renovated clubhouse is making that pre-round or 19th hole experience much more enjoyable. 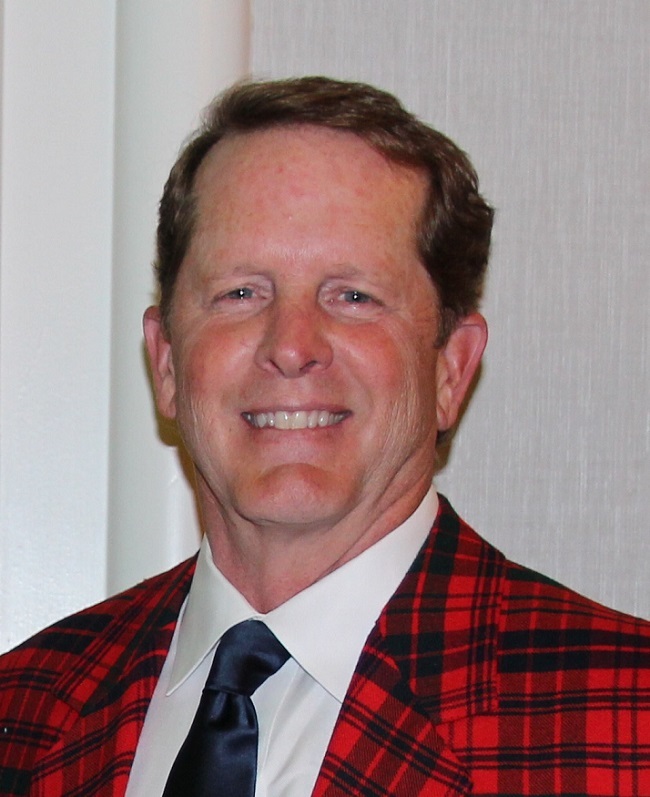 As a result business is up says Arlington Lake Golf Operations Manager Tim Govern. During the renovation Benkusky took out the excessive amount of bunkers the course had, making the course much more playable for golfers of all skill levels. Pace of Play is much improved, part of that coming from a bigger gap between tee times as well. A little less play in the courses first few months from it’s reopening isn’t a bad thing either. There haven’t been many open tee times on the tee sheet, even though as the temperature drops towards the end of the season there might be. 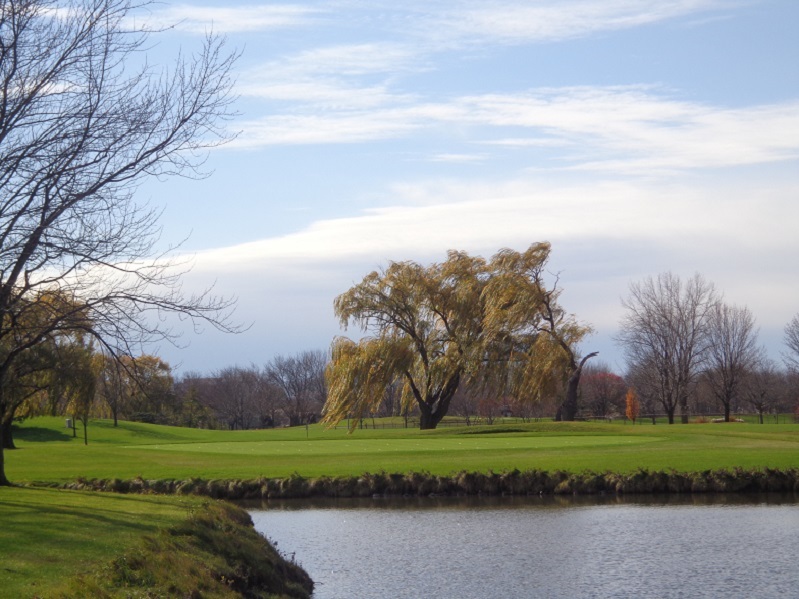 There is still a few weeks left to go play Arlington Lakes, so why not go try it our before winter closes it up for the 2016 golf season. What has been good to hear is that the courses that are making an investment in the business, and you the customer. Are seeing the returns that they have hoped for. Here’s hoping a few more area clubs take the time and money to make needed improvements.